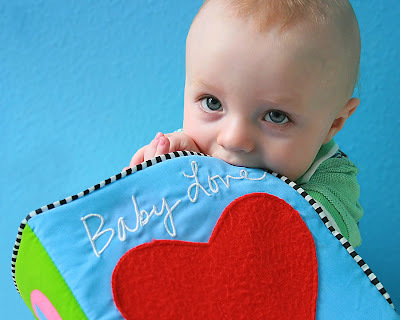 Milo has a softy book called "Baby Love" and I caught this pic of him chewing on I the other day! Happy Love Thursday. What a perfect picture for Love Thursday! He's a cutie!